On Tuesday 18th September 2018 one of our directors, Tom Jepson, and one of our relationship managers, Thomas Rowson, conducted a technical SEO (Search Engine Optimisation) training morning. 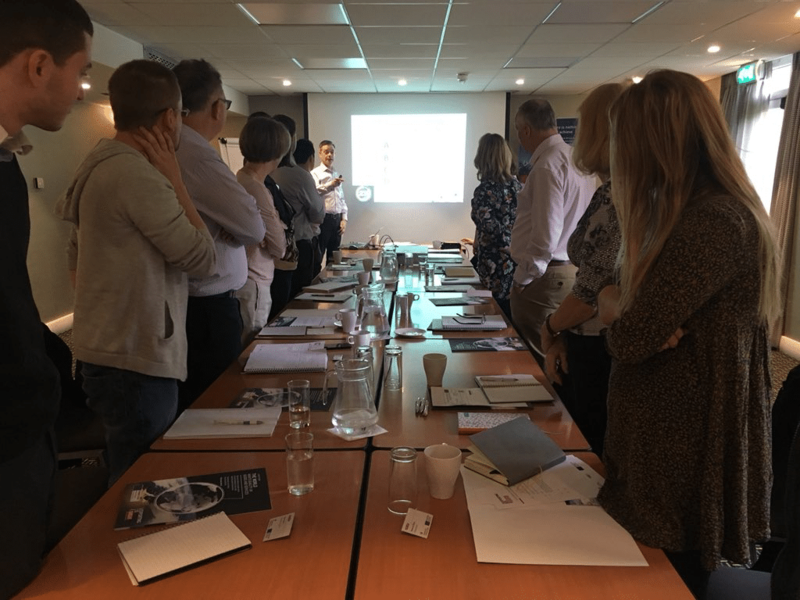 The event was held by the department of international trade in Bury St. Edmunds, and there was a great mix of business owners and marketing managers who all wanted to learn how to internationalize their company’s through organic search. All attendees grabbed a coffee and sat down eager to learn all about technical SEO. Kicking off the session with a quiz to see exactly what these marketers know, or think they know, about conversion. After several rounds of most players being out before the end and having to stand up again, there was finally a winner of the smarties! At Footprint Digital we love a quiz, we love to get you thinking about what is type of marking has been more successful and hopefully surprise you with some of the results! Getting straight into it Tom J started by finding out exactly what the audience wanted to find out, enabling him to be able to answer these questions along the way. The main reason for these events is that we can educate you the best we can, so answering these specific questions is a main objective. The presentation focused on many topics that would allow owners to be able to implement and improve their ratings on google, including the different types of domains (Subdirectories, subdomain, country specific and URL parameters), algorithms, localization not translation, alt tags, and DMA’s (Digital Marketing Audits). Being that there was a smaller audience it gave everyone an opportunity to ask questions throughout the presentation on any queries, even more specific ones to their own business. Thomas Rowson, then conducted a presentation about google tools, google analytics and SERP (search engine results pages) along with pointing out the importance of google reviews, (because we all love a good review!) which all contribute to your online presents. The presentation got people thinking about how to make google know ‘you’re loved’, how to increase the traffic to your website, move up in the rankings through SEO and getting your keywords right, all of which contribute to google rating you higher in search results. This is critical for improving your traffic quality, quantity and revenue. Furthermore it was spoken about how to localize these to the specific country you are targeting, how to get the right key words for your location. The day ended with questions for the experts over lunch and cups of tea, finding out exactly how they could improve their digital marketing strategy to reach more customers in more countries. These DIT events are really informative for anyone, owners and marketing managers, looking to grow online and to enter into new international markets. We want to help you Make More Money Online, so look out for our next event!